Among all of the ways gaming companies try to make us buy extra content, the worst has to be paying for new characters in fighting games. It’s hard to comprehend that, when you buy a game these days, you’re not getting the whole game anymore. To get the complete experience, you now have to get all the downloadable content that’s available for the game. It’s just a fact that gamers have to deal with today. To be frank, there are times when we’ll be more than happy to shell out a few bucks on DLC for our favorite game. If it’s a way where we can go battle the hordes of undead in the wild west in Red Dead Redemption, get a little more backstory to Ellie in The Last of Us or just go on one more mission with Shepard and crew in Mass Effect 3, and we’ll gladly pay good money for that. Those things seem perfectly acceptable as you don’t really need that additional content to get a fulfilling experience. The base game would be enough to scratch your gaming itch. The DLC is just the little cherry on the top of a satisfying gaming sundae. However, there are just some DLC content that just seems unacceptable. For me, that would be having to pay for extra characters for a fighting game. This isn’t even really a new trend. The companies that churn out fighting games learned early on that fans will pay top dollar to get extra characters. I place the blame squarely on Capcom for starting the trend because they’ve been releasing extra characters way before the concept of DLC was even a glint in their money grubbing eyes. It all started way back in 1991 with Street Fighter II. It all started innocently enough. Capcom thought it would be neat to make the boss characters in Street Fighter II playable so they made Street Fighter II: Champion Edition. They kept on tweaking and slowly adding new content to Street Fighter II and fans kept on buying these repackaged games that just so happened to include all of these little updates. And it looked like other companies that produced fighting games took note but implemented things a little bit differently. While Capcom kept the same formula of selling updated versions as evidenced by the staggering number of version Street Fighter IV had, NetherRealm Studios decided to take advantage of the proliferation of the Internet and modern consoles. Instead of trying to sell updated versions, they started to sell the characters individually. Mortal Kombat games as well as Injustice had a bunch of DLC characters sold on an individual basis and fans just had to get them. So they bought these new fighters because they needed to play them. Soon, other companies decided to follow NetherRealm Studios plan and make newer characters on an incremental basis and release them slowly. Koei Tecmo started doing it with Dead or Alive and even SNK’s latest King of Fighters XIV is adding new characters as well. And it’s a really becoming a disturbing trend. So, why is paying for extra characters in a fighting game worse than any other forms of DLC? Well, that’s because the roster is the actual meat of a fighting game. You can get away with adding characters in adventure games and RPGs as it doesn’t really affect the overall experience in the game and you don’t really feel left out if you decide not to get them. In Mass Effect 2, you can skip getting the Zaeed – The Price of Revenge and Kasumi – Stolen Memory DLC packs and still feel like you’ve played a fantastic game. Sure, you won’t get to enlist Zaeed Massani and Kasumi Goto into your party but you wouldn’t feel like you’re missing out. Same thing can be said if you decide to pass on Gaige the Mechromancer or Krieg the Psycho from Borderlands 2. You can enjoy the game perfectly fine without them. With fighting games, that’s a totally different story. To be frank, fighting games don’t really have all that much to offer other than just gameplay mechanics and their roster of fighters. This makes having a full roster incredibly essential in getting the complete experience. Characters aren’t just side stories or extra content; they are the content! What’s worse is that most fighting games that do include DLC characters is that they’ll intentionally taunt you that you can’t use them until you buy them. You’ll go to the character select screen and you can highlight them all you want. But, until you actually shell out the extra bucks to get them, you won’t be able to pick and play as them. As such, it always feels like a really despicable way of cutting out content that’s supposed to be in the game originally but walling it away just to earn a few extra bucks. Take a look at what NetherRealm Studios have been doing with their more recent fighting games. With Mortal Kombat X, you had to pre-order the game to play as Goro. 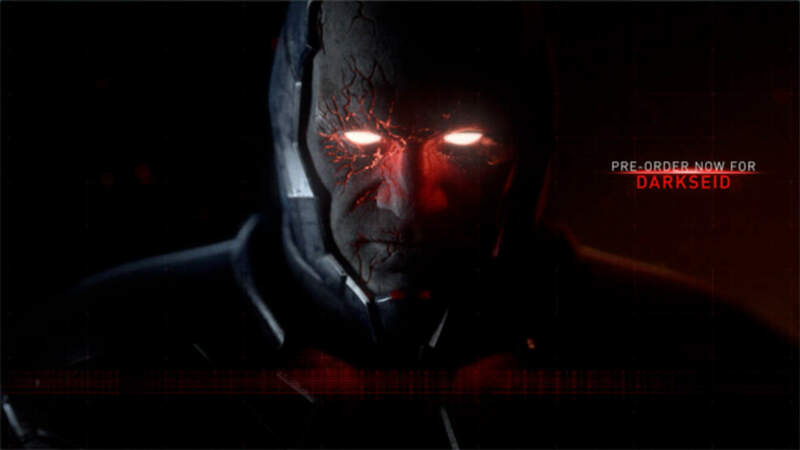 And it looks like they’re doing it again with Darkseid with Injustice 2. It just feels kind of skeevy to put up a pay wall around something essential as a totally new character in a fighting game. In fact, I hate to say it, but I will give props to Capcom, the originators of giving us piecemeal roster releases, for making it kind of palatable in Street Fighter V. DLC characters were made available after a couple of months, not during the day it was released. Also, they made it possible for the gamer to unlock the DLC characters without having to actually pay for them. Sure, you gotta grind out that Fight Money but at least you don’t have to buy them with real money. I do hope the companies that make fighting games don’t just look at characters as “additional content” because they are far more than that. It makes me long for the days where all you needed to do to unlock additional characters was to just grind out Arcade mode. All of a sudden, looking at all those weird DLC costumes don’t look so bad, do they?